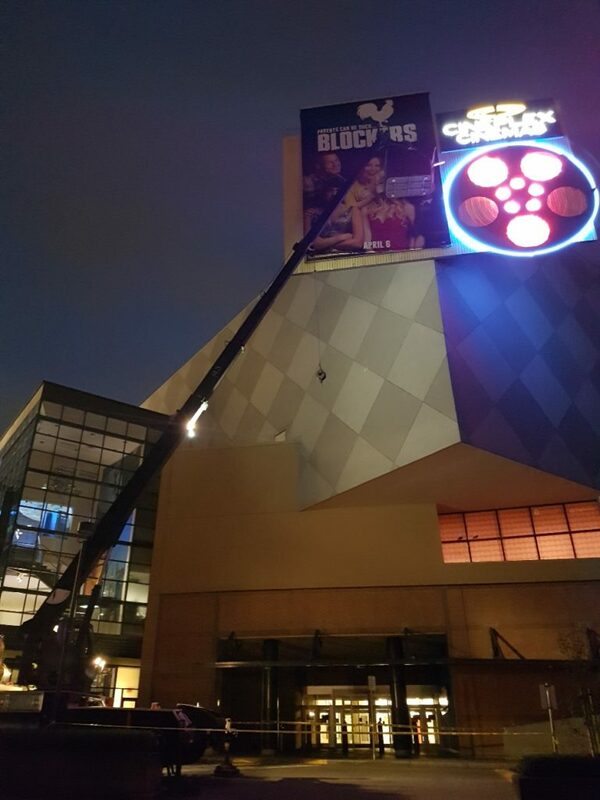 Every month if not every couple of weeks, our unit #5011 heads to Metrotown to help the Cineplex crew advertise the newest movie release. 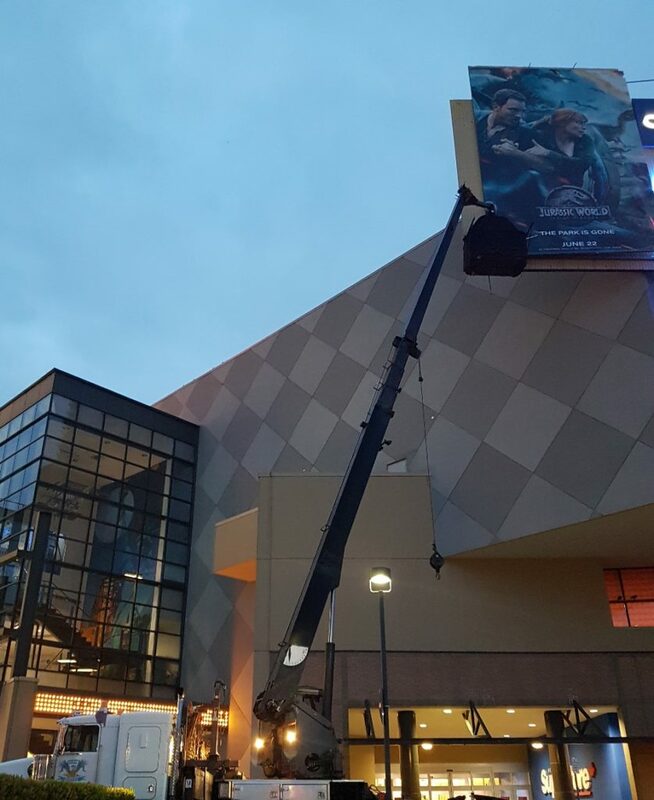 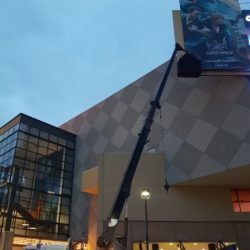 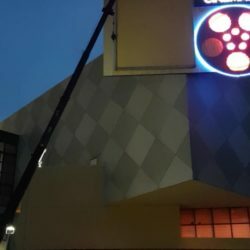 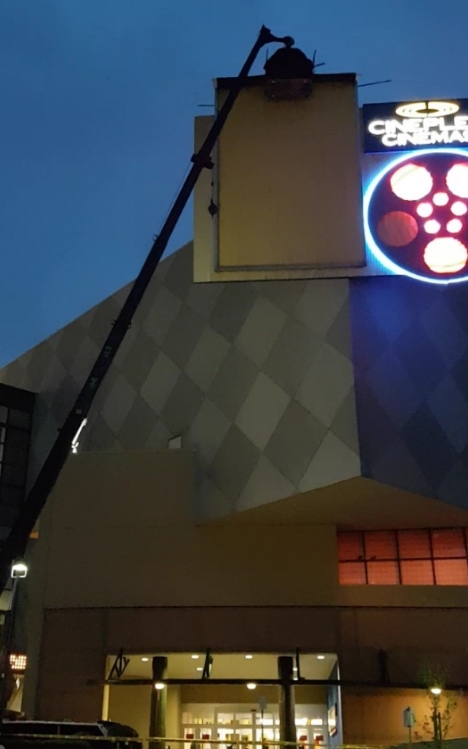 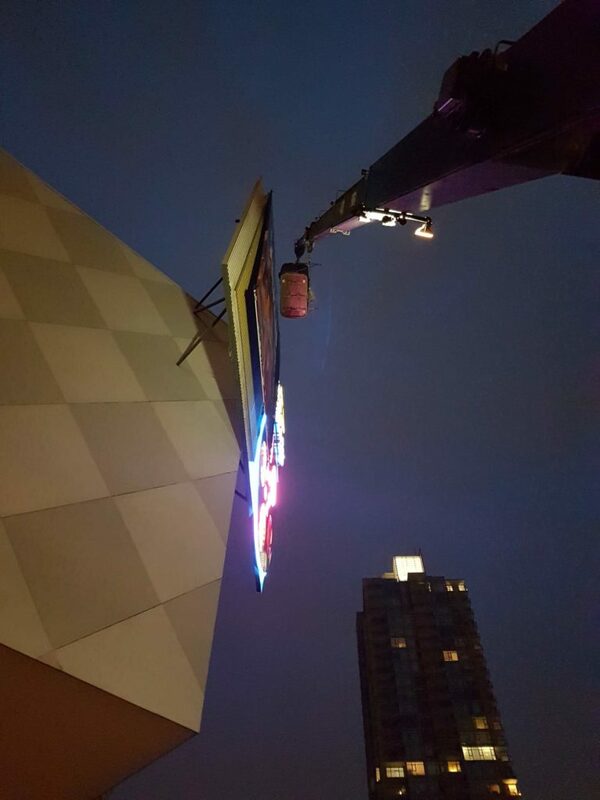 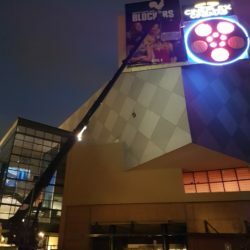 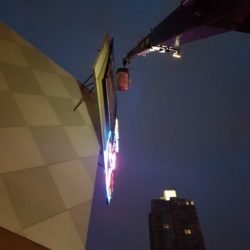 Jib on, our 30ton stiff boom lifted our 2-man hanging basket to the top of the billboard to reveal the latest Jurassic World movie poster. 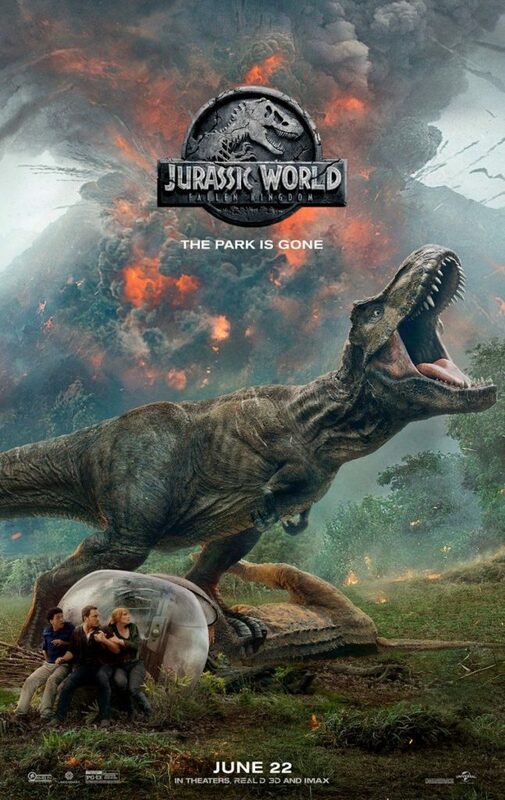 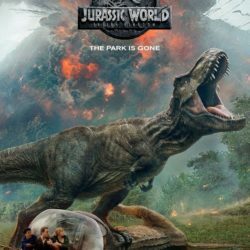 Destruction is the name of the game in upcoming “Jurassic World” sequel “Fallen Kingdom,” which will open in theaters on June 22nd, 2018.